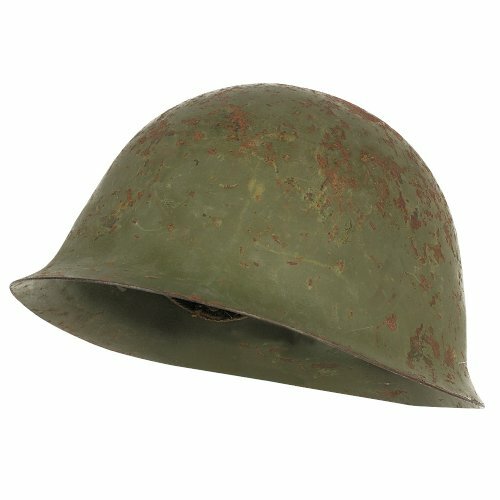 Vintage chinese combat helmet. Exterior is OD green and may have surface wear and/or rust. May also be missing leather chin strap.